Shopping in the Hampton Roads metropolitan area for smart storage solutions, stylish kitchenware, dorm bedding and modern home décor ideas? 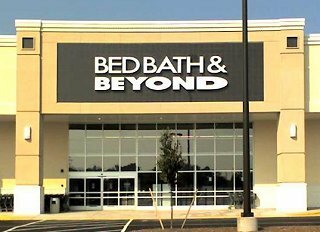 Get the style you want and shop all the brands you love at the Bed Bath & Beyond® store near you in Suffolk; you’ll find it just off I-664 at the College Drive exit. Whether you’re going to Old Dominion University, work at the Naval Supply Center or US Coast Guard Base Portsmouth, or have lived in the area for generations, it’s easy to get everything you need for your home at this convenient Bed Bath & Beyond® store located at 6253A College Drive, Suffolk, VA 23435; (757) 484-8828. Friendly and knowledgeable associates are ready to assist with your selections. Going to ODU? Use the college checklist to get campus-ready; find twin XL sheets, tailgating supplies (go Monarchs!) and laundry solutions along with electronics and dorm essentials. Need the perfect hostess gift? This store has a wonderful selection suitable for any occasion. Use the gift registry feature to create a birthday registry, housewarming registry, baby registry, anniversary registry or custom occasion registry.